Is the Toyota Tundra TRD Pro a True Raptor Killer? In late September, Toyota will be releasing the Tundra TRD Pro, which is the latest in a long line of “supposed” Raptor killers coming from manufacturers across the industry. 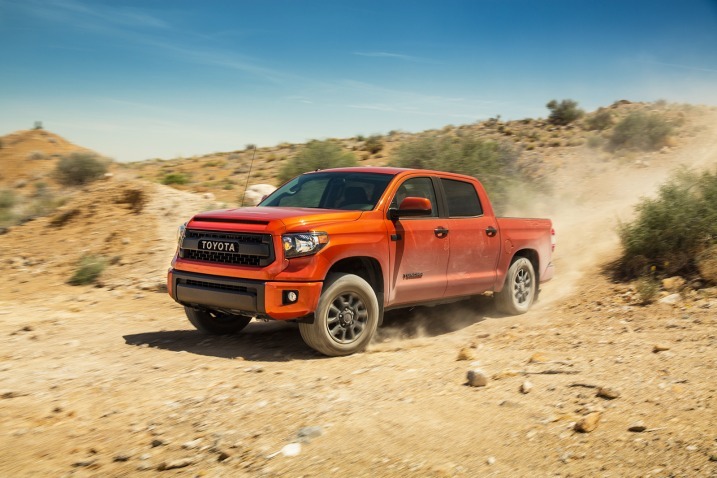 Ever since promotions began on the Tundra months ago, Toyota has not shied away from any comparisons with Ford’s industry leading off-road truck. In fact, it almost seems like Toyota has provoked comparisons (even making an eerily similar grill design). But is it really even in the same ballpark as the already legendary Raptor?? 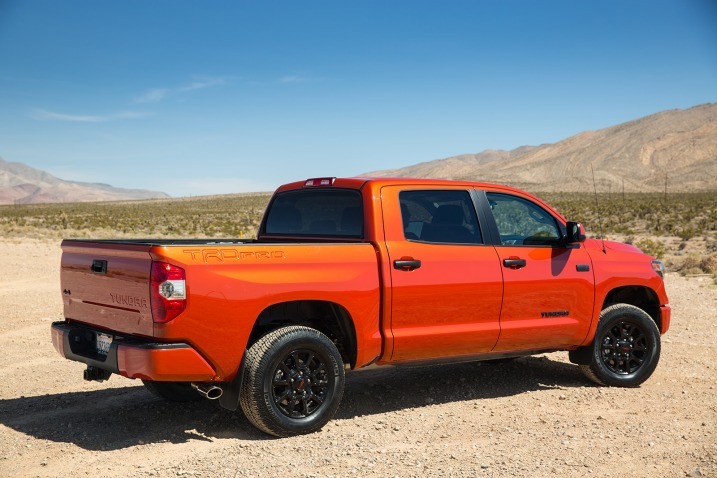 In addition to that, reviewers seem to think that the Tundra’s ride is smooth and comfortable, and even better, it offers a solid payload and towing capacity. 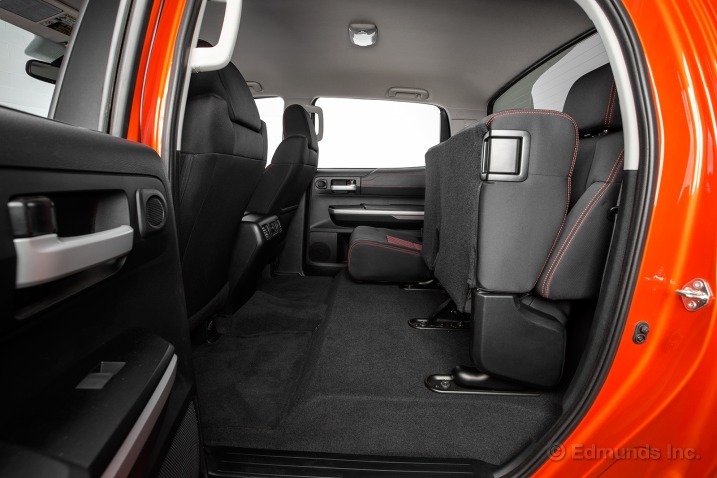 On paper, the Tundra looks impressive, as well, featuring a 5.7 liter V8 engine with tuned dual exhausts, as well as a TRD-tuned suspension fully equipped with tuned springs and remote-reservoir Bilstein front and rear shocks. 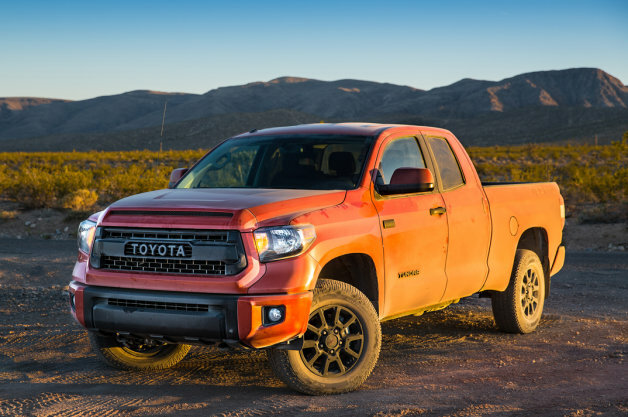 Of course, all of these factors have yet to be fully tested by the driving public, so only time will tell if the Tundra TRD Pro can really garner legitimate comparisons to the Raptor. 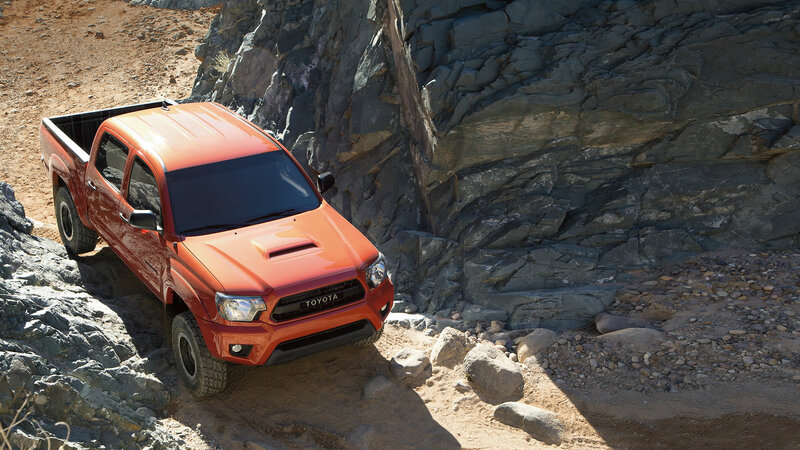 One place that the Toyota Tundra definitely beats the Raptor, though, is in pricing. Toyota today announced that their trucks will be starting at $42,385, which is a few thousand than their Ford competitor. 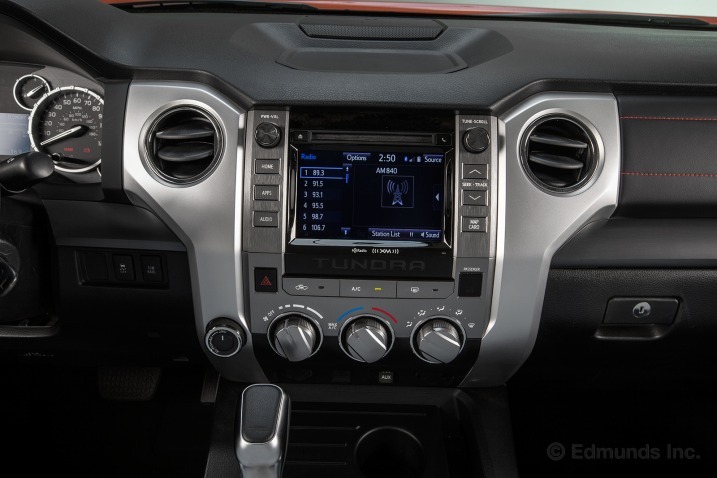 This entry was posted in Culture, Toyota and tagged ford, Off-Road, Raptor, review, Toyota, tundra trd pro. Bookmark the permalink.